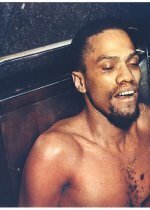 MARCH 19----The last man still imprisoned, as it were, for the murder of Malcolm X was granted parole earlier this month and is scheduled to be freed in late-April, 45 years after the civil rights leader was shot to death at Harlem's Audubon Ballroom. 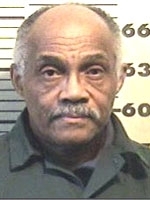 Following his 17th appearance before a New York State parole board panel, Thomas Hagan, 69, was granted his formal release from custody on March 3. Hagan, however, has been a part-time prisoner for most of the past 20 years, spending as little as two days a week in custody at an upper Manhattan work release facility, according to state records. This "five out, two in" program allowed Hagan--pictured at left in a March 2008 mug shot--to work and live with his family. 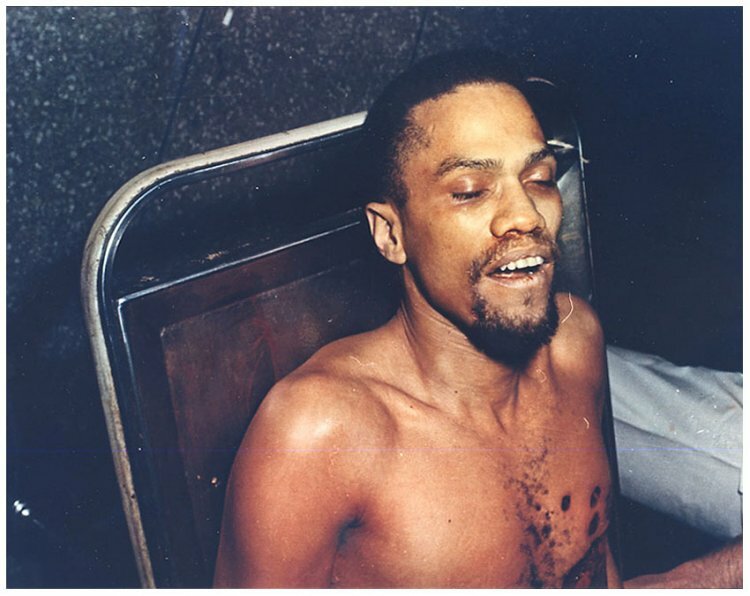 Hagan was one of three men convicted of shooting Malcolm X, who is pictured in this post-mortem New York Police Department evidence photo. The two other gunmen were previously paroled. Hagan, who was shot in the thigh while trying to flee, was arrested outside the Audubon carrying a clip from the .45 caliber pistol he used during the attack. First-person accounts of the shooting were provided to investigators by a variety of witnesses, including a Queens man, William Parker, who was struck with a stray bullet, and Betty Shabazz, Malcolm's wife, who testified before a Manhattan grand jury. Submitted by nebu99 on Mon, 2011-02-21 14:02. This dude needs to be hung period. Eye suggest you Hide *** because you will not live long outside those walls *** sellout!